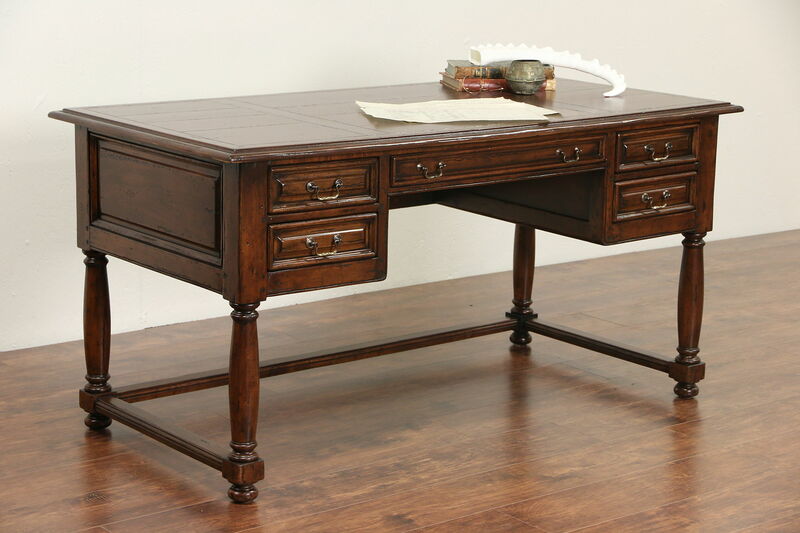 This country English library desk from about 25 years ago has an excellent gleaming finish, distressed to look antique. Solid oak and maple have wooden pegs at the joints plus raised panels on this American made vintage furniture. Dimensions are 62" long, 31" wide, 31" tall and legroom is almost 26" underneath.